We can’t say we’re surprised that now you can bathe in the scent of Brooklyn neighborhoods. But we are surprised that these Brooklyn Flavors bath bombs don’t offer gimmicky scents like “Hipster’s Beard” for Williamsburg or “Bacon Cupcake” for Crown Heights. As Brooklyn Mag explains, the creator of the products “conducted demographic research of the residents that live in the neighborhood—past and present—to create each scent.” For example, the Church Avenue bath bomb has a Caribbean scent representative of the neighborhood’s West Indian demographic. Brooklyn Flavors owner Sophia Sylvester told BK Mag, “We did [this] because what’s so special about Brooklyn, we thought, is that it has so much flavor. It’s a mosaic of cultures and colors, you know, different people from across the globe. So we decided to give [the products] some neighborhood names to make us different as well. We made a niche for ourselves.” Some of the scent combinations include the “earthy” Bed Stuy (sandalwood, jasmine, cedarwood, and patchouli), the “citrusy” Fort Greene (fresh fruit and mint), the “fruity” Clinton Hill (pears, raspberries and strawberries), and the “floral” Park Slope (lavender, rose, jasmine, and gardenia). 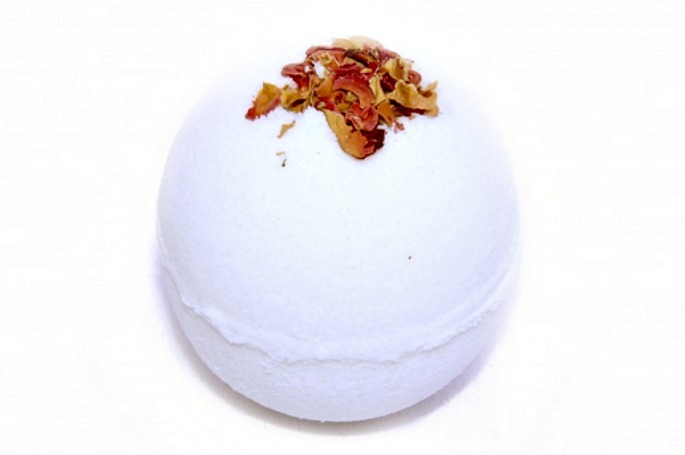 And these bombs are not just for fun, they actually help eczema and dry skin, too.